Saturday December 12th marked the end of the 2015 UN Climate Change Conference, where the leaders of nearly 200 nations, committing to a universal agreement to cut greenhouse gas emissions to remedy climate warming, signed up to end of fossil fuel era. In its place are ambitious national plans for solutions including energy efficiency and renewable energy deployment. But is renewable energy really a feasible climate change solution? Let’s takes a look at Norway for example. Norway’s geography is ideal for hydropower and in 1970, the Norwegian government announced its plan to build the Alta River Hydro Power Plant, to increase energy security. This caused the Alta Controversy, a decade long conflict between the indigenous Sami people – a reindeer herding community – and the non-indigenous population, concerning land rights. What had long been considered as worthless and unusable land could potentially become a gold mine for the state and industry, thanks to its natural resources. But the land has vital social, economic, and cultural functions for the Sami community. Sami have a strong reliance on reindeer and the natural resources needed to herd them as survival in extreme arctic environmental conditions rule out many other forms of livelihood. The reindeer aren’t just substantial as food and income from trade, but they serve important traditional and cultural purposes, with reindeer herding having been carried by Sami for thousands of years. Herding is a way of life. The government of Norway did not include the Sami in the decision-making process for the dam, disregarding local knowledge of the environment and the potential negative impacts. In a way, ethnic discrimination occurred. The conflict lasted more than a decade with protests, hunger strikes, blockades and attempts to blow up the dam by the Sami delaying the construction of the dam for three years. Eventually, a modified version of the dam was built. Unfortunately, to this day, the dam is having negative impacts on the environment and on the local Sami communities’ livelihoods. Displacement and a loss of land have pushed Sami people into ever more fragmented areas, making reindeer herding more difficult. Socioeconomically, this causes loss of livelihood and traditional knowledge and practices, whilst increasing social problems such as drug use. It is a struggle for the Sami to continuously fight for their rights to land and water. The hydropower facility and equipment are also having ecological impacts. Potential direct environmental impacts include floods, loss of biodiversity and soil erosion. In fact worldwide, dam building and other factors have caused freshwater ecosystems to lose approximately 76% of their populations since 1970. Moreover, while it’s true that the actual production of electricity from hydropower doesn’t release any greenhouse gases, the production of them undoubtedly does. further hydropower development will put wild reindeer at great risk, as further loss of habitat and fragmentation will leave stretches of land that are too small to viably hold the populations. This is worrying as reindeers are important in efforts tackling global warming. Research by the Arctic Centre of the University of Lapland indicates that reindeer grazing is an important determinant in counteracting climate warming, as the amount of reindeer grazing determines how much greenhouse gases will be released into the climate, directly effecting temperature rises. Long-term light grazing causes less gas to be released, but long-term over-grazing has no effect and will therefore not be beneficial in combatting global warming. Long-term over-grazing will continuously occur as more land is out of use for domestic and wild reindeer. “what is needed is system change, not climate change. This change will not be made by corporations or world leaders. Rather it will be made by us as a global movement of citizens.” How is this possible when the communities which are affected aren’t invited [to the talks] and are evicted by the French police? Will the COP21 negotiations in Paris on climate change really work? The Paris negotiations started in mid-November and are expected to reach a conclusion on the 12th of December. What are they for? Who will attend? And who will influence the decisions that are made? So far, the talks appear to have only been dominated by corporate organisations and world leaders. According to Democracy Now, “the U.N. climate summit has come under scrutiny for its unprecedented level of corporate sponsorship — more than 50 companies, with some of them counted by climate activists as being among the world’s worst industrial polluters. Last Friday [4th December], climate activists gathered at the Grand Palais in Paris protesting the COP21 “Solutions” exhibition, where businesses were pushing for corporate and privatised responses to climate change. Several protesters were evicted from the premises by the large security presence at the event.” What has been the reaction to this? Global Justice Now, stated “We believe that what is needed is system change, not climate change. This change will not be made by corporations or world leaders. Rather it will be made by us as a global movement of citizens.” How is this possible when the communities which are affected aren’t invited and are evicted by the French police? With the Paris terrorist attacks so recent, does it make the climate protests more or less significant; and does this affect the agenda of global leaders? Have the series of protests and demonstrations been held back as a result? In absolute terms, the answer is yes; demonstrations have been banned and security has been tightened. However, over 130 heads of state and government that were due to attend have not pulled out. This is a positive. Environmental activists appear to be more mobilised than ever, stating that COP21 is “The Climate Games”. On the last day of the summit, thousands of people are expected to converge around the Le Brouget summit. “Red lines” have been set up, namely ten different blockades dividing the cause upon which protesters feel are the most important for example equitable climate finance for poorer countries, or meaningful emissions reductions. The goal of the talks is to achieve a new global deal to curb emissions from 2020 and prevent the planet from catastrophic overheating (that is, over two degrees centigrade above pre-industrial levels resulting in irreversible changes to the weather, including droughts, floods, heatwaves, fiercer storms and sea level rises). So far this decade, every year has been hotter than every year before 1998 (see image below). Do the COP21 invitees have an impact on the destiny of our planet? Let me briefly present the proposed situation and you can decide. According to The Economist, the politicians have set an impossible task which is to persuade developing countries that controlling climate change is more important than, potentially, the economic growth of their country. Heads of state are gathering with what appears to be different agendas. On the one hand those that have been through industrialisation and emerged out the other side, and on the other those who are still experiencing that process. Why should developing countries buy-in to an agenda that suits those that have already experienced this? The argument of the developing world is that there should be a two-fold process: one for those that acknowledge the need to reduce their historical carbon emissions based on their industrialisation experience, and those that are now experiencing such levels of industrialisation. Who is correct? Now is not the time to be cynical, but to acknowledge the differing economic pressures of the parties involved. Protests are coming exclusively from the developed world, and yet there would possibly be protests from the developing world if these carbon emission restrictions were to be applied across all jurisdictions leading possibly to restrictions on growth, for example power cuts. An answer needs to be found that is satisfactory for all those involved but only the stakeholders in Paris are currently in the position to decide the policies. So what can we do? How can we influence policy on a global scale and prevent a continued myopic view of the position? Is putting an internationally-accepted price on carbon the answer when the developed world has already taken its fair share? Should we, those who truly care about climate change sit on the side-line awaiting the outcome? Well, yes and no. The real policy-makers in this field are the developed world governments that are voted in by us. We, and those of the populace of the developing world, have a voice and an ability to influence, maybe not the meetings in Paris, but those meetings that follow. We have the ability, as a cross-jurisdictional voting group, to insist that carbon dioxide emissions will shortly reach unsustainable levels, and acknowledge that people, food sources and livelihoods are dying as a result. We that care about such issues have a responsibility to ensure that we at least inform ourselves as to the issues and the implications of doing nothing. In my next blog I will be looking at how the decisions taken by COP21 impact those of the developing world. When we think of Europe, we think of how lucrative life can be! We think of big glittering houses equipped with all sorts of 21st century modern life facilities, BMW or Mercedes Benz or Range Rover parked outside, day to day life is full of entertainment, in one word “perfect consumer lifestyle of Western world”. No doubt the transport system is great, education system is excellent, health care is dynamic & life is full of entertainment with all contents of 21st century, yes of course society is much more liberal & progressive but one think is common in all countries , particularly in Britain, France, Belgium & in Germany, that is lack of cultural assimilation among ethnic minorities and pockets of poverty. Britain, particularly performed well in terms of breaking the ice & bridging the gap between the native & the immigrants. This isn’t the case for many other countries. Son of an immigrant bus driver has been selected from Labour Party recently to run to become Mayor of London. There are number of MPs & Lords in British Parliament from ethnic minority but it’s not common in rest of Europe. Let’s look into France. “The Glory has come”, with this national anthem France has ruled almost half of Africa. Many people have migrated from Algeria to France, a former colony of France. But isn’t the Algerian immigrants still considered as second class citizen in France? Modern France has a divisive way of treating people where immigrants are never considered as bone fide citizens. Some critics also think France society is colorblind in terms of indentifying racism and alienation, a problem. Majority of homegrown terrorists sadly come from ethnic minorities or immigrants background in UK & rest of Europe. Abdalhamid Abaaoud , the mastermind behind Paris attack happened to be from a very deprived and disfranchised area of Brussels named Molenbeek. Molenbeek is known as the capital of Jihadis. Molenbeek is just located in Brussels but young people like Abdalhamid grew up with no sense of community belongings, may be his childhood was full of poverty, racisms, disfranchisement. For the last century when world has witnessed the fall of colonialism, many immigrants made their way to Europe to resettle & start life afresh. The contribution of immigrants is huge in building the Europe after two world wars. Immigrants are still significantly contributing. But life isn’t bed of roses for immigrants in Europe. Children of immigrants still find it difficult to get admission into good European universities after having excellent result. Even after having excellent result from university, not many can made it to the jobs. After the end of colonization, many people from ex-colonies made European their home. But still they struggle to find their place in western society. And if the society is colorblind to tackle inequality, poverty, racisms & cultural disfranchisement the ethnic minorities face day to day from school, university and job place, this will create more Abdalhamid Abaaoud. So these homegrown Jihadists like Jihadi John or Abdalhamid is the result of post-colonial era & lack of cultural assimilation. Earlier this year Britain scrapped subsidies for onshore wind farms, closed support for small-scale solar projects and changed the way other renewable energy projects qualify for payments, saying they were becoming too costly for taxpayers. In the light of this statement, were the tax payers ever consulted if their taxes should be invested in clean energy in a bid to halt global warming or the government had “better” ventures to fund using the taxpayers’ money? This move has a cost to the taxpayers as their energy bills will keep rising whilst he country’ energy companies get even more profits from the sale to energy to consumers who have no option but to pay. The cut on small scale solar-projects is a big blow on the production of energy from renewable sources and puts Britain at risk of failing to reach set energy targets. This is just a clear picture of how little developed countries are committed to the provision of cleaner energy in order to cut CO2 emissions. The government is struggling to commit funds in order to aid renewable energy production yet the privatised energy companies are enjoying millions of pounds worth of profits through the use of energy infrastructure that was passed on too then in the name of neoliberalism. There is indeed something really amiss with this. Perhaps, it is high time the state retuned to energy provision for its people. This is indeed necessary to ensure that the state’s commitments to developing green energy technologies and combating CO2 emissions are met. Capital is not corned much with these ventures because they do not necessarily increase their profits. If Britain fails to meet the set renewable energy targets, there are hefty fines to be paid to the regulators. The big question that rings in my mind is; will these fines repair the damage to the environment and whom do they really benefit? These fines will be paid using the tax payers funds still so why should the taxpayer this burden? 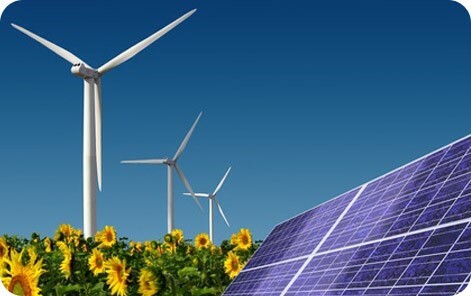 Perhaps it will be beneficial if energy companies are to use their profits to fund renewable energy sources and if that is not sustainable for them the state should take responsibility for this industry as it was in the olden days. This will ensure that the energy industry sorely survives to serve people’s energy needs and all surplus is for investment in order to address the global CO2 crisis which is putting the entire humanity at risk of catastrophic climate problems. We await to see the outcome of the United Nations Climate Change Conference in Paris later this month and if anything really changes in relation to the developed countries’ commitment to cutting down CO2 emission. Will the wealthy countries propose a shift in the current state of affairs in relation to the provision of clean energy? You are currently browsing the Sustainability and the commons blog archives for December, 2015.